Editor's note: We received the following information from the current owners of Western Hills. 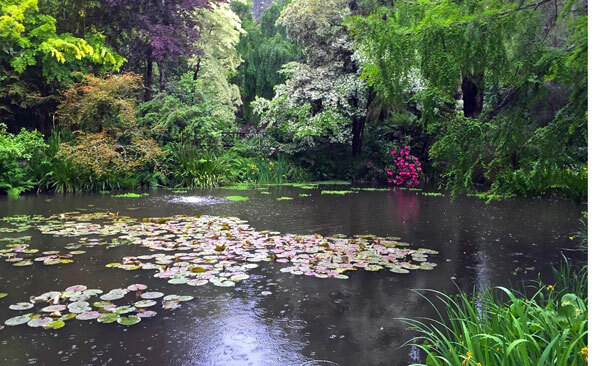 Sixty years ago, on a hillside in the California Redwoods, Western Hills Garden was created. 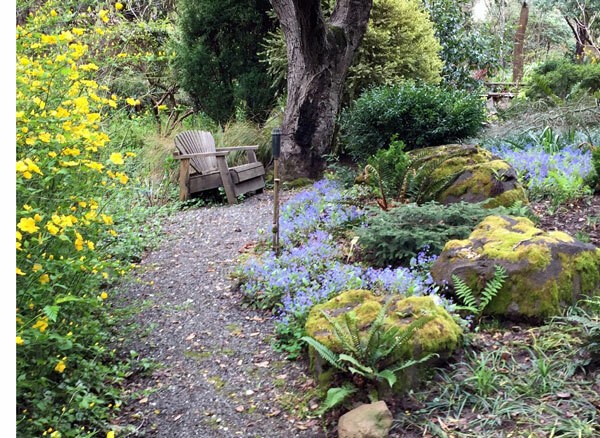 The private garden, located in Occidental in Sonoma County, has faced many challenges over the past six decades, but has achieved “landmark” status as a destination for avid gardeners. Since 2010, Western Hills has been owned by Tim and Chris Syzbalski, who recently let us know that they are planning a 60th anniversary celebration for the weekend of May 25 - 26. Sean Hogan, noted horticulturist and owner of Cistus Nursery in Portland, OR, will be the featured speaker for the garden's guided “Walk and Talks.” The garden will also offer iconic plants for sale from the Cistus and Western Hills nurseries, many propagated at Western Hills. Western Hills has been collectively shaped by its four owners over the last six decades. The garden creators, visionary plantsmen Lester Hawkins and Marshall Olbrich, started the Western Hills Rare Plants Nursery within a majestic redwood forest. It became a horticultural mecca on the West Coast. Plantings began with California natives; Mediterranean plants from around the world were later added. When a reliable water source was developed, the plantings also took on a strong Asian influence. Only three acres in size, the garden featured winding paths, ponds, and distinct garden rooms with unexpected views. 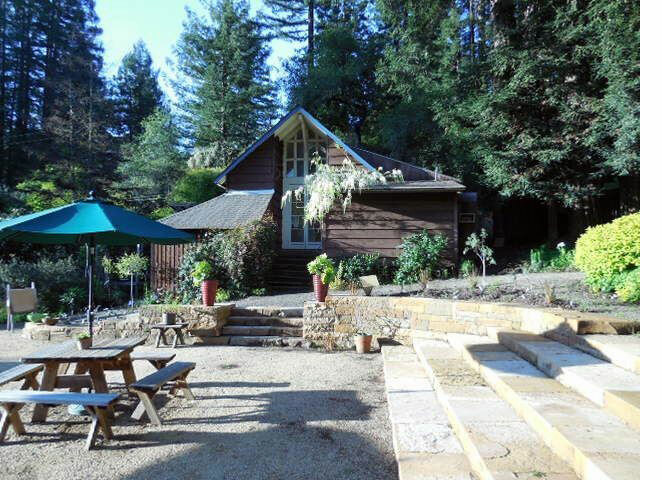 “Borrowed” scenery from towering redwoods beyond the garden further defined the space. Morning fog from the Pacific Ocean, just five miles away, created an ideal habitat for plants. In 2008, the garden was placed on the market, amid a flurry of press coverage about saving the garden. The eventual buyers, though well-intentioned, eventually lost the property to foreclosure. The garden fell into disrepair and a hardy band of volunteers struggled to keep it watered during the summer. Tim and Chris bought the property in 2010 and have worked for the last ten years to restore the garden and structures. Lack of attention during the foreclosure resulted in overgrown paths, not so much by weeds, but by naturalized survivors. The exotic trees continued to grow and seed. The five ponds became habitats for diverse flora and fauna. From contemporaneous accounts, a lot was lost, but much survived. The garden has also withstood droughts, freezes, and nearby wildfires. With the help of many, the restoration over the last ten years has proceeded in a strategic and thoughtful way. The paths were cleared, the ponds restored, rock gardens reclaimed, trees pruned, the irrigation system automated, soil improved, and the 34-foot bridges restored. Plants were divided, harvested, removed, and transplanted, all under the watchful eye and help of a horticultural community, including the Garden Conservancy, who care about the garden. Perhaps the biggest transformation was a new event space that has greeted thousands of visitors over the last ten years and more than fifty garden clubs and societies. Today, the garden boasts well-maintained paths, terraced plantings, mature exotic trees, and lots of color. The new owners have focused on rebuilding the key collections in the garden: Australians, camellias, conifers, dogwoods, ferns, hellebores, Hercules lilies, irises, magnolias, endangered Chinese maples, Puyas, rhododendrons, and perennial flowering shrubs of all kinds. Historic plants have been returned to the garden, and new cultivars have been introduced to complement the old. Finally. the major structures were renovated to return the property to its original purpose as a garden, nursery, living space, and gathering place for plant lovers. Returning visitors are pleased to see the progress of the garden, while nostalgically noting that it has evolved. The sunny hillsides with rare plantings are now covered by the shade of 60-year old trees and a mix of modern and historic cultivars. While Western Hills has proven itself to be a tenacious garden, it requires a caring and engaged community in order to thrive. Visit westernhillsgarden.com to learn more about the garden and the various ways in which you can help support it.